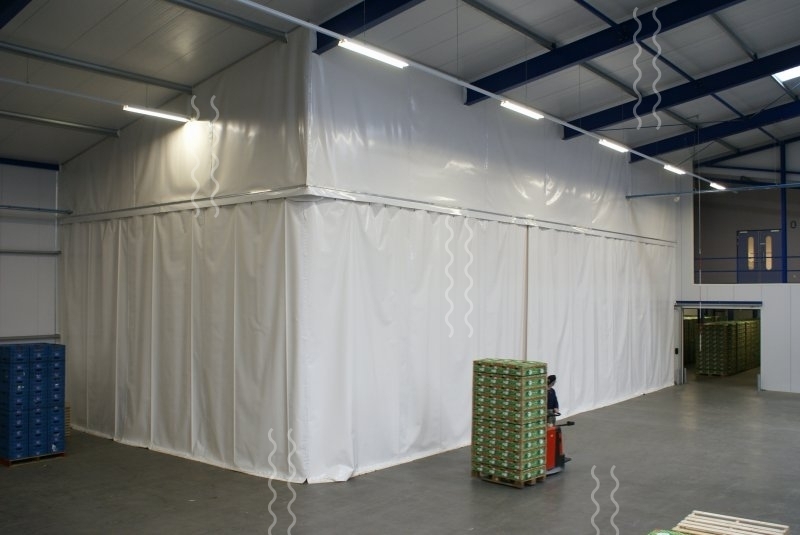 The VLP soundproof industrial curtains consist of soundproofing pliable material. Available in flame retardant white, gray or blue PVC fabric with a layer of foam on the back, 3 mm thick. Because the sound-deadening material is flexible, it is easy to pull around corners . The curtain is made up of modules which are coupled with Velcro. In order to prevent sound leakage the curtain sticks out against the rail, in addition, the rail construction is fitted with sound-damping flaps. Depending on the sound frequency of the curtain can reduce noise levels up to 15 dBA. 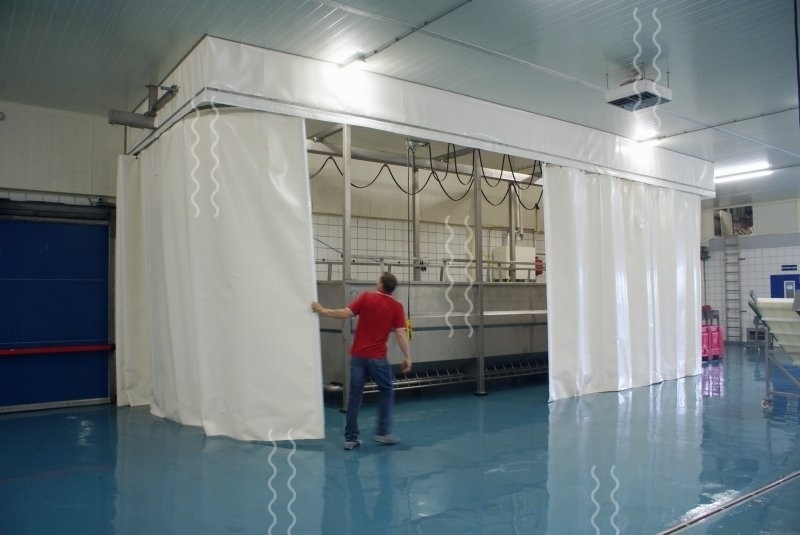 The VLP sound-absorbent and flame retardant industrial PVC curtains developed by VLP are frequently used in car emission measurements testing areas, around heavy machinery, pumps and conveyors in industrial companies. Just like other VLP products, the sound-proofing curtains can be custom-made. Various designs are available and even production and installation can be customised to your requirements. 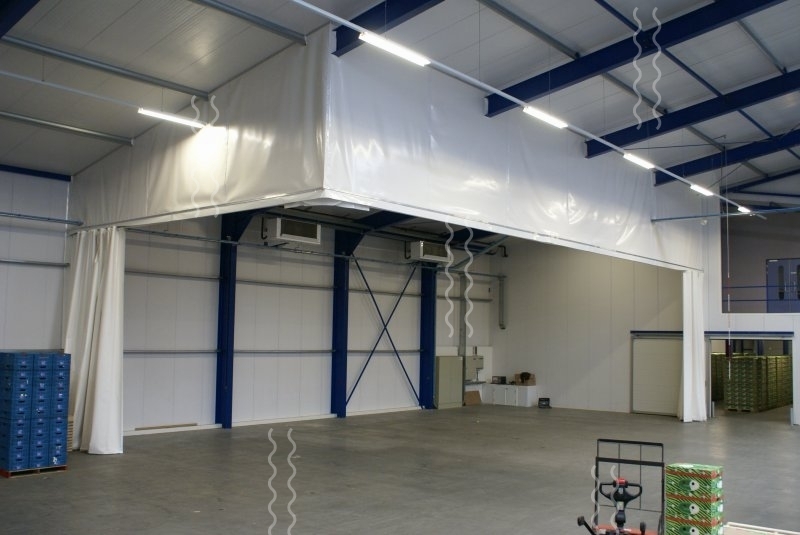 In addition, VLP can also take care of the suspension structure and a sound-proofing barrier up to the roof. 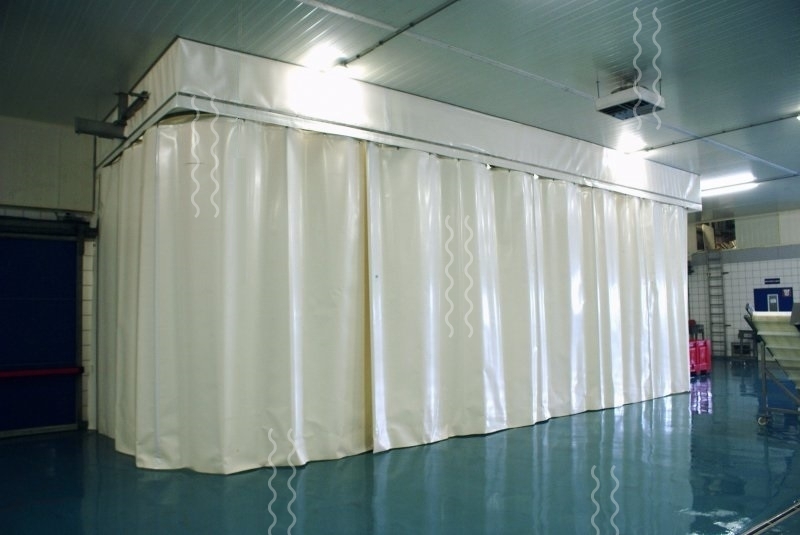 PVC strip curtains and PVC sheet walls also have excellent sound insulating properties. In particular, the sound-absorbing plate walls are often used to reduce the noise by up to 25 dBA reduction. These products are made of crystal clear PVC, which can be a great addition in order to control noise that is produced by manufacturing processes.